It’s almost that time of the year. The day you don’t want to miss. A day filled with ideas worth sharing and conversations worth having. 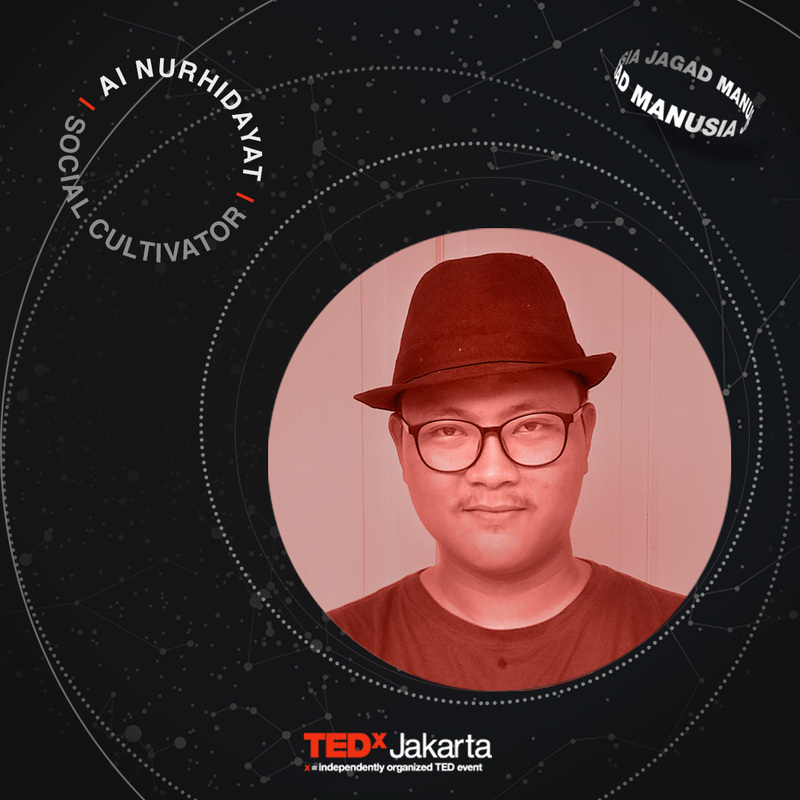 Yes, TEDxJakarta is back with “Jagad Manusia” this September 2018. Get ready to embark on a journey to a new ‘universe of mankind’, and take a closer look at the historical landmarks we humans have created. From the first time we decided to make better use of our opposable thumb, we have appeared on top of the food chain. And as we end our thousands of years of hunting and gathering, settle down, and experiment with farming and herding, the earth enters a new epoch in the geological time scale: The anthropocene. An extraordinary achievement, knowing our brief existence in this blue planet, while never before an era was driven by a single species. But, having a geological time scale attributed to us doesn’t necessarily mean we’re doing a good job. Humanity have their impediment, our passion can sometimes be so divisive and our presence may scarred the earth to years and years to come. The earth is not the only place where we leave our mark. We also already leave our mark in the cosmos. In this time of compartmentalization and false nostalgia, ironically, the Space Age Magellan, Cheng Ho, and Ibn Battuta may already walk among us. Sedari awal kita belajar mengasah peralatan bebatuan, kita telah berdiri di puncak rantai makanan. Dan ketika gaya hidup pemburu-pengumpul berakhir, dan mulai bercocok tanam, dunia ini memasuki era geologis terbaru: Antroposen. Pencapaian yang luar biasa mengingat keberadaan singkat kita di planet biru ini–belum pernah era geologis dinamakan oleh satu spesies. Akan tetapi, memiliki kala dinamakan karena keberadaan kita tidak selalu berarti itu suatu keberhasilan. Manusia memiliki kekurangannya, hasrat kita kadang kala membuat kita saling beradu, dan kehadiran kita meninggalkan jejasnya yang akan membekas bertahun kedepan. Malah, bumi mungkin bukan satu-satunya tempat kita akan meninggalkan goresan, kita telah meninggalkan jejak di semesta. Dan walaupun kini kita masih saling berkubu dan merevisi kenangan semu, Mpu Nala dan Pati Unus di era ruang angkasa mungkin telah hadir di antara kita. Maka marilah bergabung di mana jagad raya menjadi panggung dan umat manusia menjadi pemerannya. In the adventure of Jagad Manusia, we will evoke your emotional and intellectual responses. Together, we will ponder upon our existence as one of the agencies in this universe. On how our demeanor triggers revolution which embeds many other momentous events. On how our expansion as human beings to every nook and corners of the earth has always bring a big cost. On how us, the tiny Homo Sapiens, managed to rule the world. This current speaker may give you a counter argument whenever your mother tell you not to play with your food. To him, tempe–and its microscopic ingredient, is not only a local food. But also a powerful substitute for concrete. 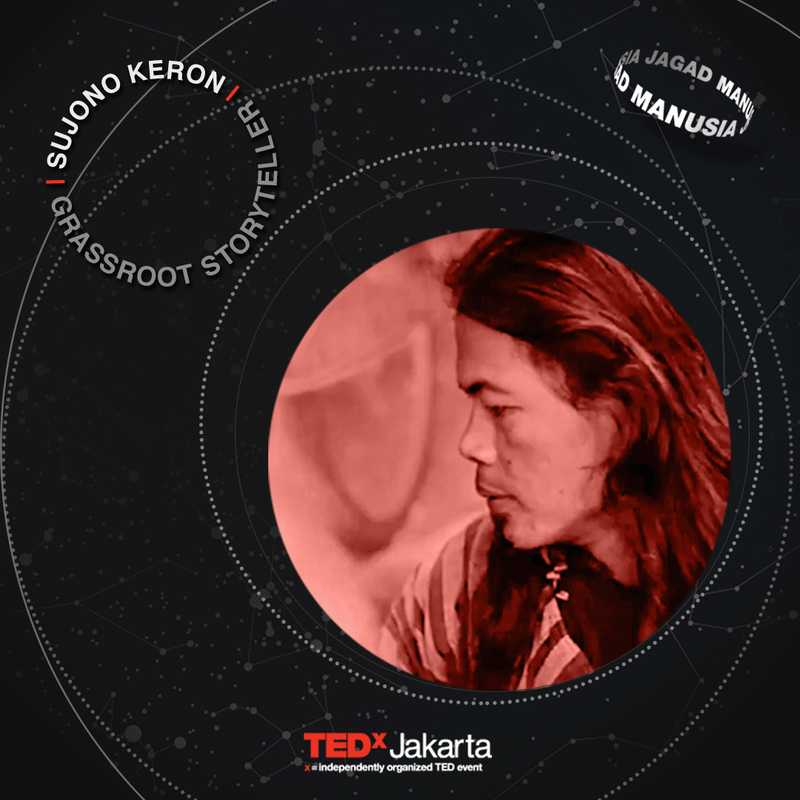 As a proud mountain man from Keron–a village on the slopes of Mount Merapi, Sujono witnessed vanishing indigenous insects from the field. 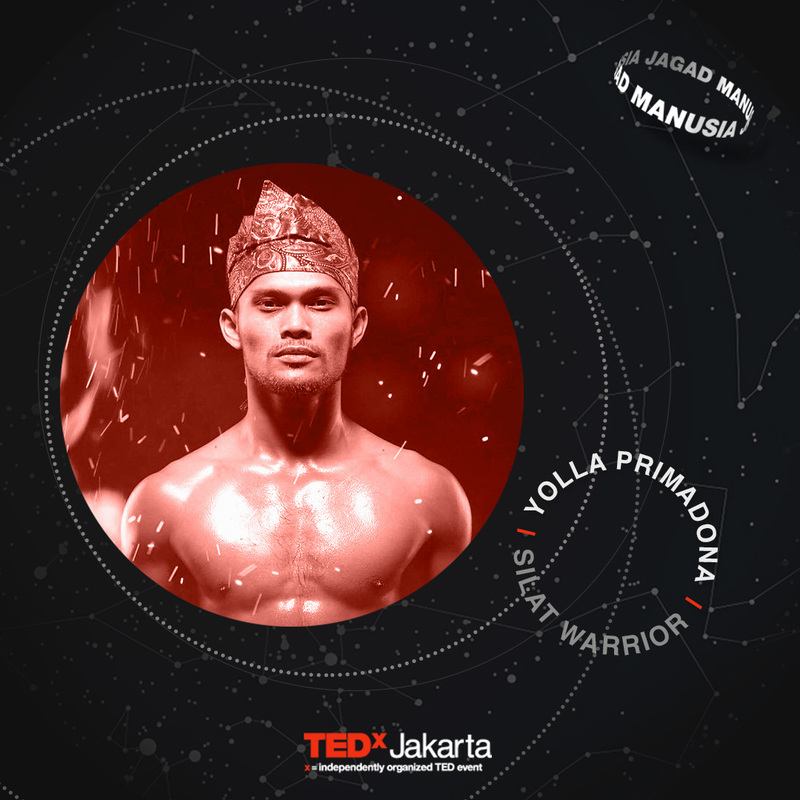 It driven him to advocate about the importance of a balance ecosystem in the form of masked dance and wayang kulit. His creation showcased a detailed and ultra-stylized rendition of the insects, a Misteri Gunung Merapi meets Ksatria Baja Hitam. A hostile environment may not the be the best place for you to negotiate, let alone to accomplish anything. But years of restoring dwelling decency of the disenfranchised, this speaker can see beneath the hostility and transcend it onto hospitable environment. In time of dissonant, empathy can be a luxurious commodity. More so, it’s not the kind of goods that you can reap without strenuously sow first. Founding a mixed cultured school has this school principal ideas on how to put yourselves on other shoes. You would think there’s only so much to talk about bananas, but there’s actually a whole universe of research dedicated for them. 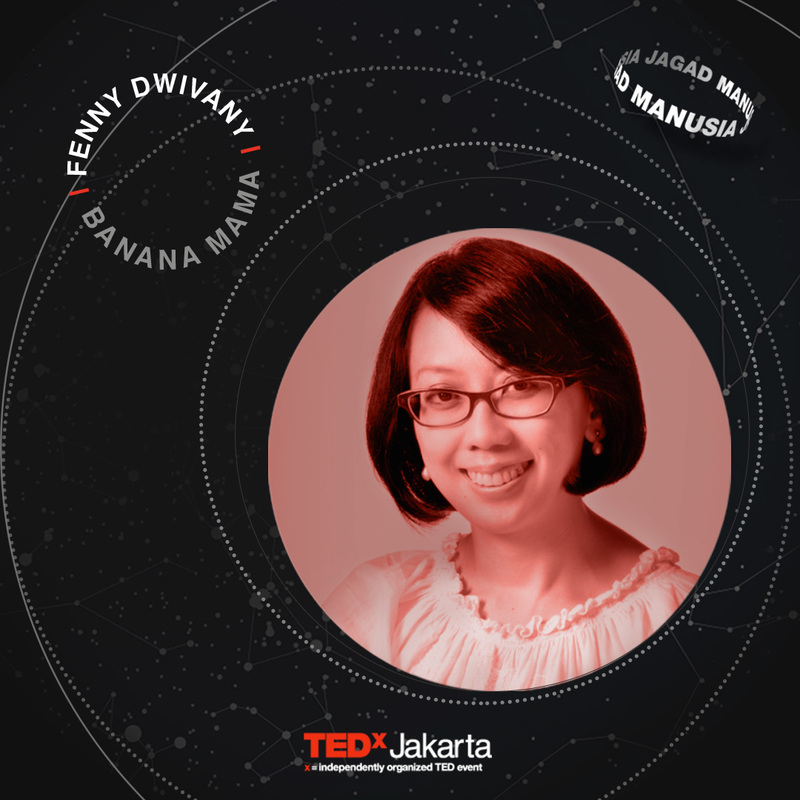 14 years of studies involving multi disciplines from genetics, nanomaterial science, design, to space biology by her team—the Banana Group—will show you why a banana is more than just apeeling. Abraham has always had a curious mind with a knack for problem solving. 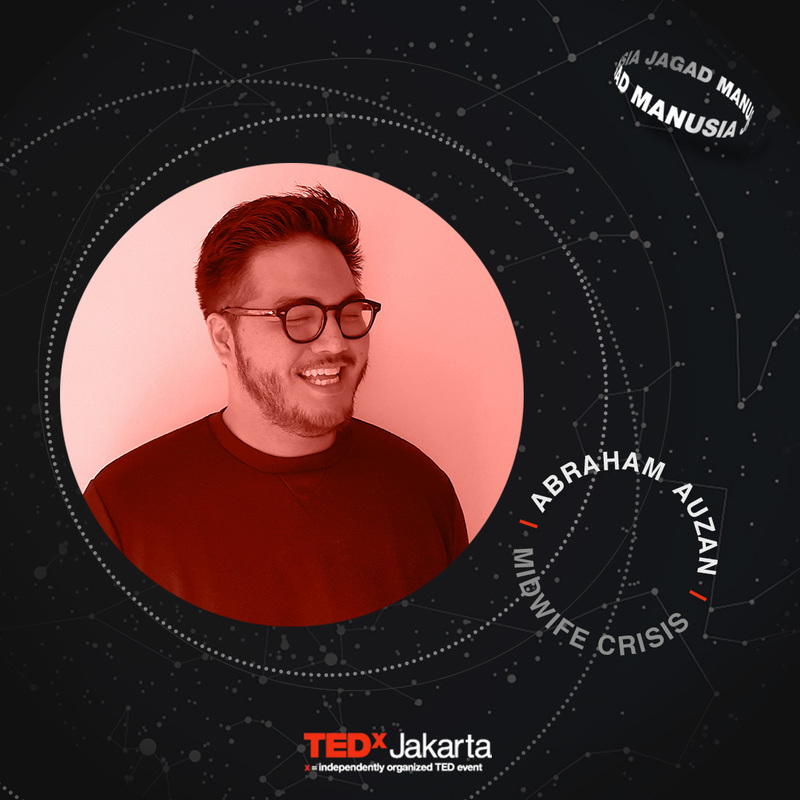 His interest in developing communities and background in business & communication lead him to co-found TeleCTG, a healthcare startup focusing on providing equal maternity healthcare. Being observant and discreet is one of the best proficiency which she carries during her professional life. Especially after almost a decade working as a researcher in a local task force that highlights human rights issues. In contrast to her professional proficiency, on daily basis she is bubbly and loud. Before stepping into the Ministry of Education and Culture as the General Director of Culture, he was well known for two things: being an activist and having curly long hair. Thankfully although he cut off the ponytail, he doesn’t compromise advocating the existence of local wisdom and culture. Not many gold medalist has an imdb page, but Yolla Primadona Jampil is not your average athlete. As one of the Indonesia’s pencak silat champions at Asian Games 2018, Yolla is a warrior on and off-screen. For him, pencak silat is not an entitled heritage, it’s something worth fighting for. We are trying something different this year. 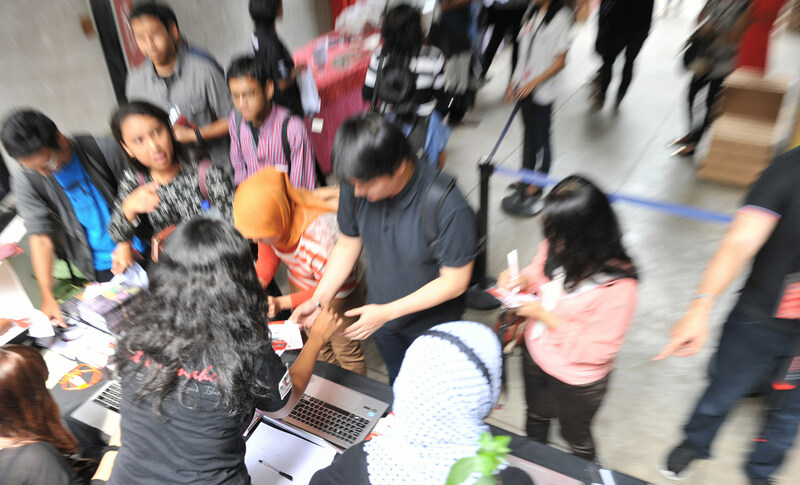 As you may know, a typical TEDxJakarta event would be hosted for free, albeit may consume some time and energy to register. It can be in a form of an essay (#11: Haphazard, 2016) or a personality test (#12: Niyata, 2017). Each has its own merit. The essay, for instance, helps us—the volunteers, to understand audiences benefited the most from the talks. Then again, it’s not without its disadvantage. Curating 200-ish audiences by reading each of the 300 words essay from the 1500’s submission within a week would definitely provide a large room for imperfection. Aside to that, without any form of monetary compensation, doing a small labor of 300 words essay can function as a form of payment. It can drive registered audience to commit attending our event—a commitment cost, if you will. But unfortunately, the arduous tests wasn’t laborious enough to function as a commitment cost. A number of selected audience didn’t attend. We therefore task ourselves with two objectives. 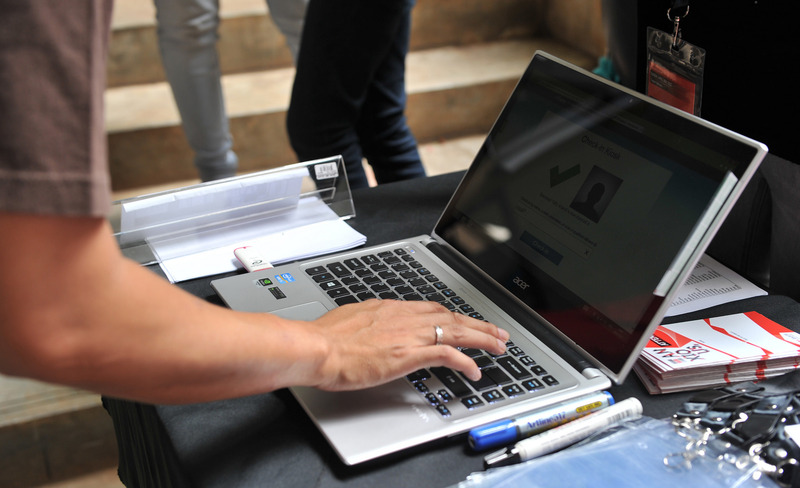 First, a registration system with small inaccuracies.The second is to include more attendees in our TEDxJakarta audience experience. With this in mind, now here we are at the beginning of this letter; Announcing another means or registration on our 13th event: with payments. A first-time-decision taken with lots of considerations. However, we must add that we do still believe that knowledge should be shared unconditionally. We therefore will provide scholarship for selected audience by means we considered fruitful: A 300 words essay. What can we say; we’re sucker for a good story. The registration button below will be activated according to above-mentioned schedule. For scholarship application, the button and the form will be opened on 6-12 August 2018. We hope we get you excited as we are. And we really hope that this announcement doesn’t dishearten you to register. We have the best intention to have a bigger event, a better audience experiences, and a more ideas worth spreading. Kami akan mencoba sesuatu yang baru tahun ini. 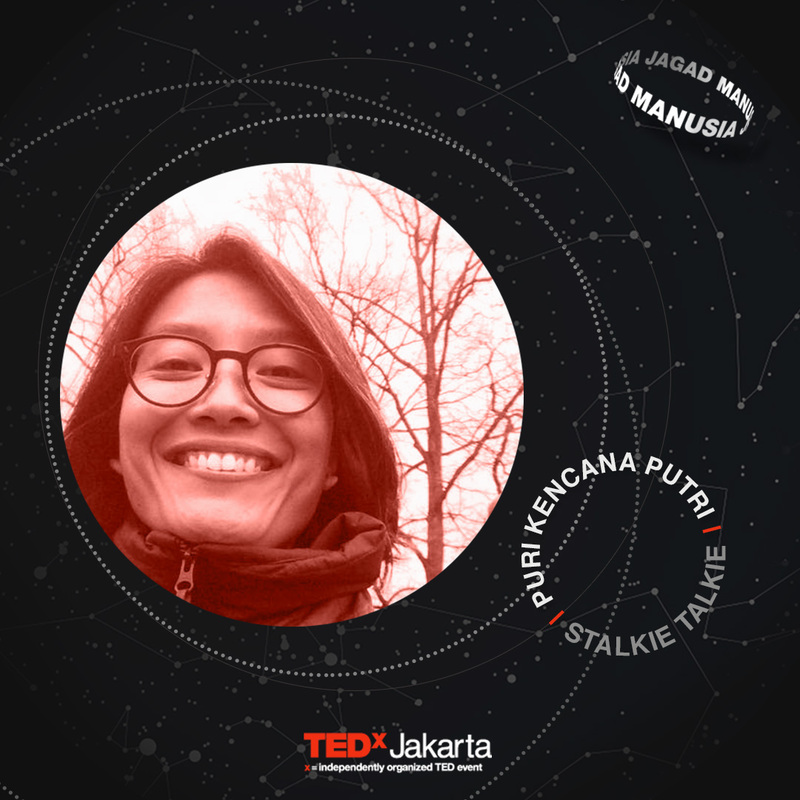 Sebelumnya Anda dapat menghadiri TEDxJakarta tanpa mengeluarkan biaya. 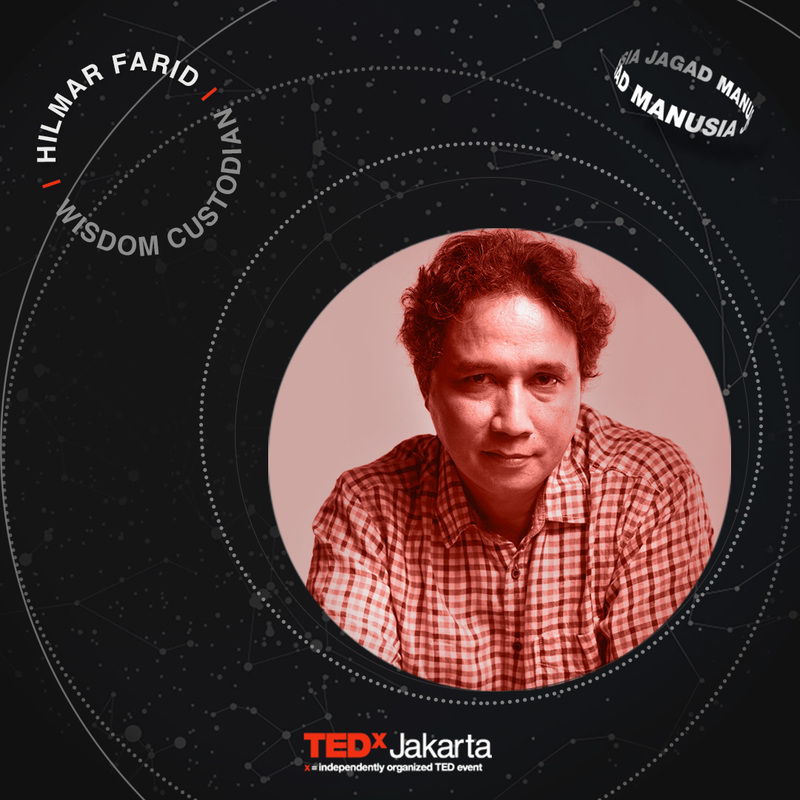 Meskipun dapat memakan waktu dan tenaga pada saat mendaftar, baik untuk mengisi esai (ingat TEDxJakarta ke-11: Haphazard di tahun 2016?) maupun untuk tes kepribadian (ke-12: Niyata di tahun 2017). Setiap proses tentu memiliki kelebihan. Esai dapat membantu kami, para relawan, untuk lebih memahami peserta melalui tuturan langsung dari mereka. Selain itu, usaha untuk menulis esai 300 kata dapat kami anggap sebagai pengganti proses berbayar, sehingga pendaftar akan menumbuhkan rasa keterikatan untuk hadir. Tetapi, proses ini juga memiliki kekurangan. Memilah sekitar 200 dari 1500 peserta dengan membaca esai yang tidak sedikit dalam waktu satu minggu akan tidak luput dari kesalahan. Ditambah lagi, proses ini juga ternyata belum cukup mengikat kehadiran peserta sehingga masih ada sejumlah peserta yang tidak hadir saat acara. Saat ini kami memiliki dua tujuan utama. Pertama, sistem pendaftaran dengan akurasi tinggi. 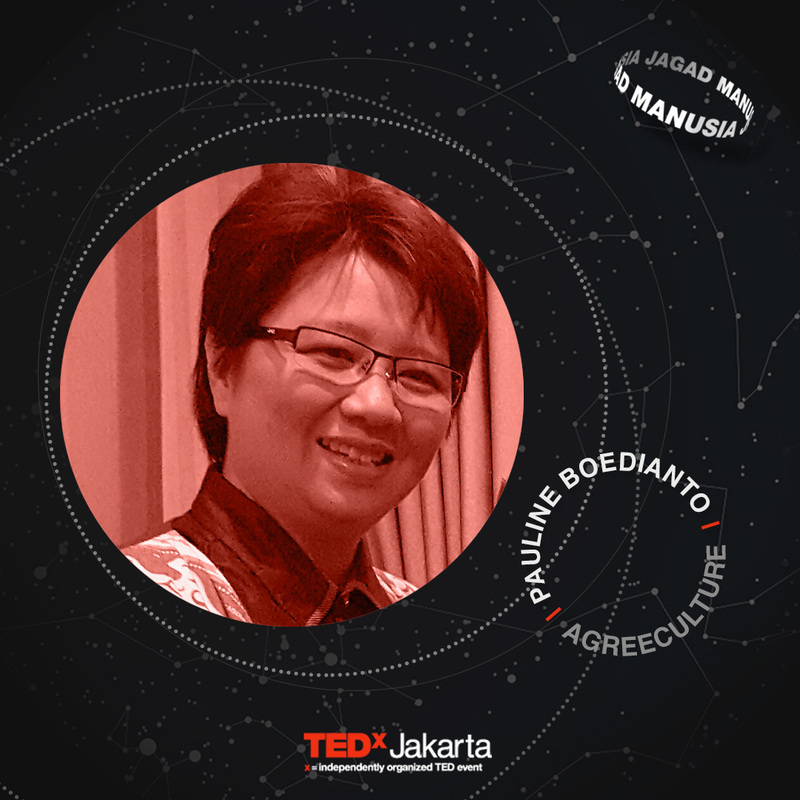 Kedua, usaha merangkul lebih banyak hadirin untuk mendapatkan pengalaman panggung TEDxJakarta. Kembali ke maksud awal tulisan ini, kami ingin mengumumkan cara lain untuk pendaftaran kali ini: Berbayar. 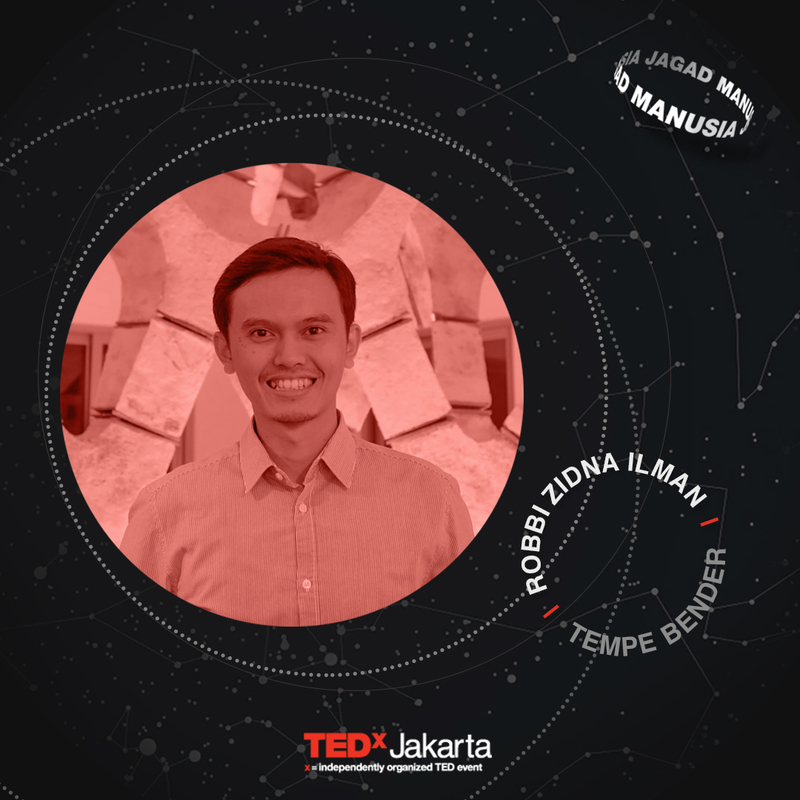 Keputusan ini kami ambil dengan penuh pertimbangan dari seluruh acara-acara TEDxJakarta sebelumnya. Tombol-tombol di bawah ini akan aktif sesuai jadwal yang tertera di atas. Sedangkan untuk pendaftaran beasiswa, tombol dan fomulir akan dibuka pada tanggal 6-12 Agustus 2018. Kami harap Anda sama bersemangatnya seperti kami. Itikad kami adalah acara yang lebih besar, pengalaman yang lebih kaya, dan lebih banyak ide layak gaung.